Product prices and availability are accurate as of 2019-04-19 05:45:15 EDT and are subject to change. Any price and availability information displayed on http://www.amazon.com/ at the time of purchase will apply to the purchase of this product. 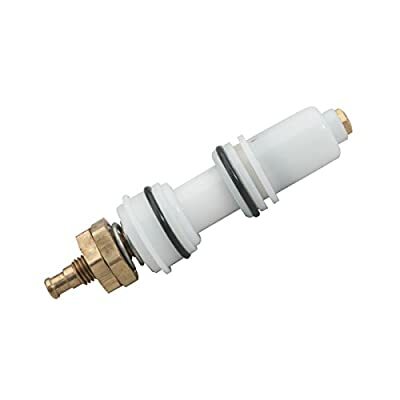 Faucet cartridge for Delta Faucet self-closing, single handle kitchen and bathroom faucets. Genuine OEM Delta Faucet replacement part. Includes 1 cartridge in a bag. Cartridge length is 3.5". Color/Finish: White. No-Lead brass construction. No-lead certified. OEM number: RP72773.